Music Video "Got You Where I Want You"
Disturbing Behavior 1998 - 84 min. 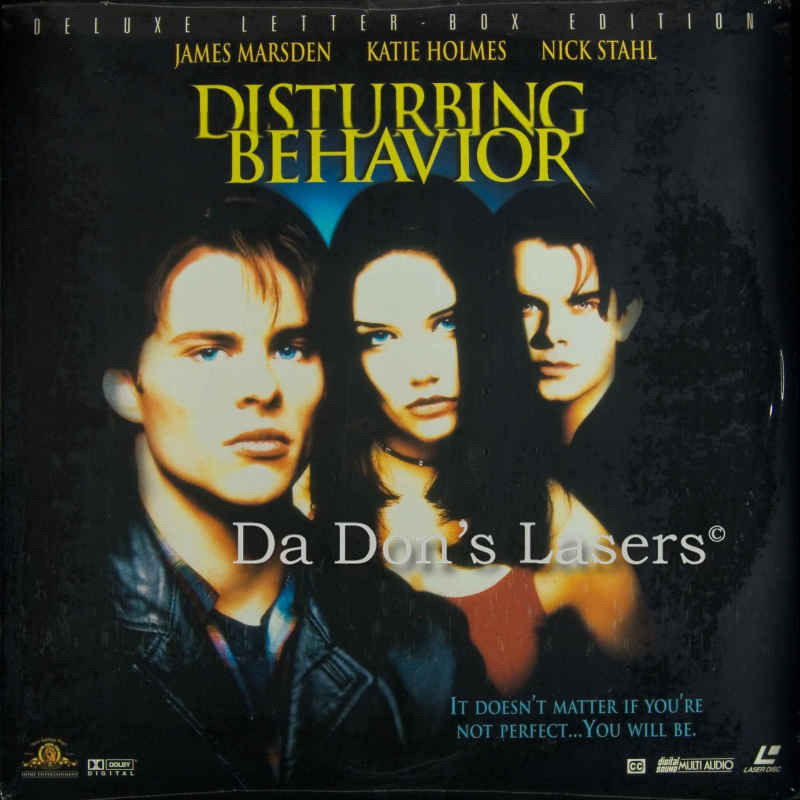 - Color Genre: Horror Rated R Country: USA LaserDisc Movie Review: In the scenic town of Cradle Bay, the teen population is remarkably well-behaved. It's up to the scruffy new arrivals to uncover the diabolical means by which the town's grown-ups exert their influence. Thanks for Visiting DaDon's Rare LaserDiscs ! Reviews, Articles, Newsletter and Information for Movies on LaserDisc LD Laser Disc, LazerDisc.